BACKROWER Anthony Laffranchi has sent an injury scare through the Titans’ camp ahead of tonight’s crunch NRL derby against the Broncos on the Gold Coast. The former NSW and Australian Test forward is battling a calf injury and missed training last night. He spent yesterday being treated and will be required to undergo a fitness test when the Titans hold their final session at Robina this morning ahead of the Skilled Park clash. “He had a tight calf and after he started warming up it just got a little bit sore,” said Titans physiotherapist Scott Thornton. “We don’t think he has torn it but he has got some tightness in his calf. “As a precaution we stopped him training. He will run this morning and if he gets through that he will play. I am confident he will play.” While the prognosis looks bright for Laffranchi, a cloud of uncertainty continues to hover over both young centre Joseph Tomane (shoulder) and strike weapon Sam Tagataese (shoulder). Tomane has not been sighted since Round 13 against the Raiders, while Tagataese has been missing in action since Round 14 against Manly. Both players are suffering from suspected nerve damage. They are understood to have been sidelined for an indefinite period, with no return date as yet. Fellow outside back Jordan Atkins is also sidelined with a medial ligament strain. In a further blow for the Titans, young forward Will Matthews appears unlikely to play again this season and may need surgery on his injured shoulder. Clinton Toopi (Not Listed) faces an anxious wait before discovering whether an injury to Mat Rogers leads to the former Kiwis centre’s return to the National Rugby League. 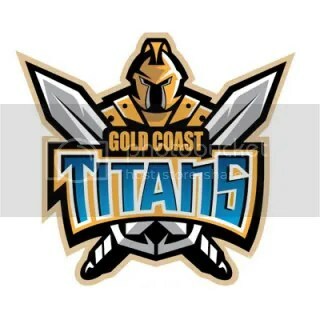 Toopi shapes as a potential replacement for dual international Rogers who hyper extended his left knee during the Gold Coast Titans’ 20-point loss to St George Illawarra on Friday night. The 29-year-old former New Zealand Warriors centurion has been confined to the second-tier Queensland Cup competition since the Titans signed him to a one-year incentive-based deal, reviving his rugby league career after a brief injury-plagued flirtation with union at Bay of Plenty in 2009. Toopi was essentially trialling for Rogers position last night as the Titans’ feeder club Burleigh Bears beat the Central Comets. Jordan Aitkens ($112,600 CTW), Toopi’s centre partner with the Bears, the other option under consideration by Titans head coach John Cartwright for next Monday’s trip to Manly. Cartwright names his line-up on Tuesday. Toopi, who is behind Rogers and impressive Wellington-born rookie Joseph Tomane in the Titans’ midfield pecking order, admitted it had been frustrating waiting in the wings. Cartwright was hopeful Rogers, 34, would only miss “four to six weeks”, presuming scans today confirm a medial ligament tear rather than a ruptured anterior cruciate ligament – a setback that could require season-ending reconstructive surgery. *Updated* GOLD Coast co-captain Luke Bailey has declared himself a certain starter for the Round 1 match-up against New Zealand Warriors at Skilled Park next Sunday. Gold Coast forward Luke Bailey ($266,500 FRF) is in doubt for his clubs first round clash against the Warriors after suffering a flare up to a knee injury yesterday at training. In an untimely headache for the Gold Coast just eight days out from their season opener at Skilled Park, Bailey hobbled off the training paddock during contact work yesterday. “We’re pretty confident he’ll be fine, we don’t think he’s hurt his medial ligaments again, he just got a knock in the same area,” Cartwright said. Bailey first suffered the ligament tear during the Gold Coast’s pre-season trial win against South Sydney at Coffs Harbour. With fellow frontline prop Michael Henderson ($180,700 FRF) also hoping to be fit after surgery on his toe this week, Bodene Thompson (Not Listed) and Will Matthews ($124,800 2RF/FRF) are pressing hard for berths. While Bailey and Henderson are in doubt, ex-Test forward Brad Meyers ($206,200 2RF)(sternum) is fit, as is Matt White ($175,700 FRF), a late withdrawal from the Titans’ final trial with a virus. In other news, it is believed Melbourne Storm recruit Joseph Tomane ($99,700 CTW/FB) has edged ex-Kiwi Test star Clinton Toopi (Not Listed) for the right centre jumper. Tomane is set to link with Papua New Guinea Test flyer David Mead ($93,500 CTW/FB). 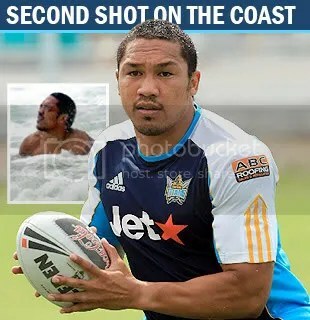 A gym accident has left Gold Coasts Esi Tonga ($104,800 CTW) season almost over before it had begun, suffering a suspected pectorial tear during the Titans pre season camp at Coffs Harbour last week the centre will undergo surgery and most likely miss 6 months of the competition. Returning from a shoulder reconstruction suffered on the eve of the Titans maiden semi final campaign, the centre was looking forward to regaining the form he found in 2009 before his shoulder injury. Coach Cartwright confirmed the bad news while citing Matt Rogers ($190,700 CTW) and Kevin Gordon ($102,900 CTW) to fill the left flank whilst Clinton Toopi (Not Listed) and Joseph Tomane ($99,700 CTW/FB) are set to battle out on the right.